Sammy Hagar is best known first as lead singer of the 70s band Montrose and then in the 80s he replaced David Lee Roth in Van Halen. But he also had solo success especially in the 80s before he joined Van Halen. His success was mostly as an album artist. I Can't Drive 55 could be Hagar's signature song. He was born Oct. 13, 1947 in Salinas, CA. Hagar was in several late 60s bands including The Justice Brothers who were the house band at The Nightclub in San Bernardino, CA. Then Hagar moved to San Francisco. Guitarist Ronnie Montrose had a record deal with Warner Bros. and Doobie Brothers producer Ted Templeman. Montrose had previously been a session musician and a member of Edgar Winter's band. Hagar was recruited from a local cover band. Hagar wrote the Montrose hit Bad Motor Scooter. After two albums and during a European tour, Hagar left Montrose and went solo in 1975. He took bassist Bill Church and drummer Denny Carmassi with him so Hagar wasn't the only one not getting along with Montrose. 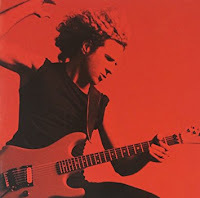 Hagar recorded five albums for Capitol. He did OK but he didn't think they promoted him enough. So in 1982 Hagar signed with the newly formed Geffen label. His first Geffen album Standing Hampton was certified Platinum and the single I'll Fall In Love Again cracked the top 50. His 1984 album VOA did even better. For one thing, Hagar reunited with producer Ted Templeman. The album was certified Platinum and I Can't Drive 55 reached #26 on the Billboard Hot 100. Hagar says he wrote the song after getting a speeding ticket while driving on a desolate highway. He says he wasn't going that fast. NBC Sports and then ESPN used the song in NASCAR broadcasts. At this point, Hagar was a successful live draw. Then he replaced David Lee Roth in Van Halen in 1985. His run with them was very successful until his departure in 1996. Hagar stopped recording solo in 1987. He signed with MCA in 1997 and he released several albums as Sammy Hagar & The Warboritas. He returned to Van Halen in 2003 to tour to support a Best Of album. Afterwards, Hagar returned to The Warboritas and he has also led Chickenfoot and The Circle. Hagar currently records for Jimmy Buffett's Mailboat label. The Circle released a live CD in 2015. Hagar has discussed recording in the studio with them. Hagar is currently on a Rock & Roll Road Trip that is broadcast on AXS-TV. The Circle will tour this summer. Hagar's Capitol, Geffen and MCA hits are on this Hip-O comp. Here's the video for I Can't Drive 55 by Sammy Hagar. I loved the video and the attitude that came with it. I think a lot of people back then felt exactly the same way and it really struck a nerve with them. He sang the right song and the right time, plus he has talent. God Bless Sammy Hagar.